There are few things in life that I cherish more than my morning cup of coffee, and that’s how I first met Greg. Owning a local coffee shop, Spaddy’s, in Seminole Heights, he brews up some of the most delicious caffeine creations that my taste buds have ever sipped. When I found out my coffee master was engaged- I knew I needed to be a part of his wedding. Besides being a local business owner like myself, Greg is also an amazing person. He is giving, always willing to help out, and kind, but the best part about Greg is definitely Jayne, a local nurse and a real life angel in every way possible. 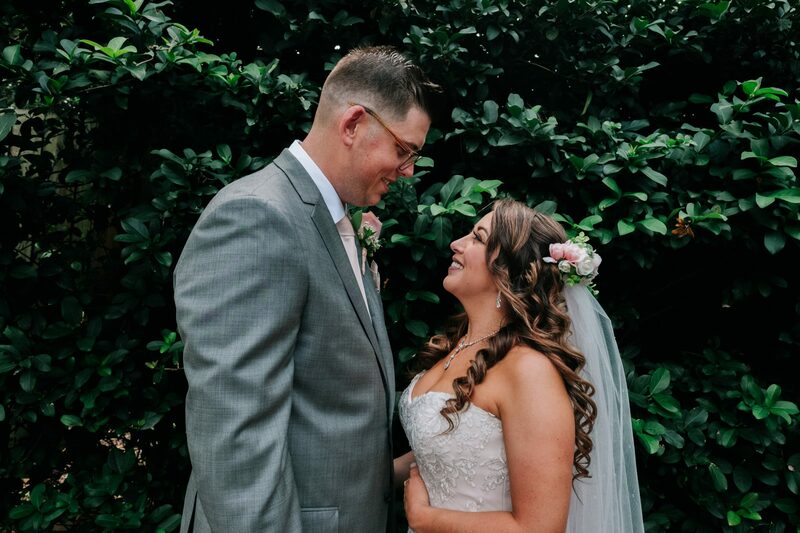 When I arrived to their wedding at Cross Creek Ranch in Dover, Florida, I knew that this wedding was the perfect representation of who they were. From the ceremony location in the woods with hidden doors, and an amazing one of a kind floral backdrop, to the rustic barn reception complete with hanging florals, market lights, and an entire desert table, this wedding was about fun, happiness, and beauty- all things that are apparent in Greg and Jaynes relationship.